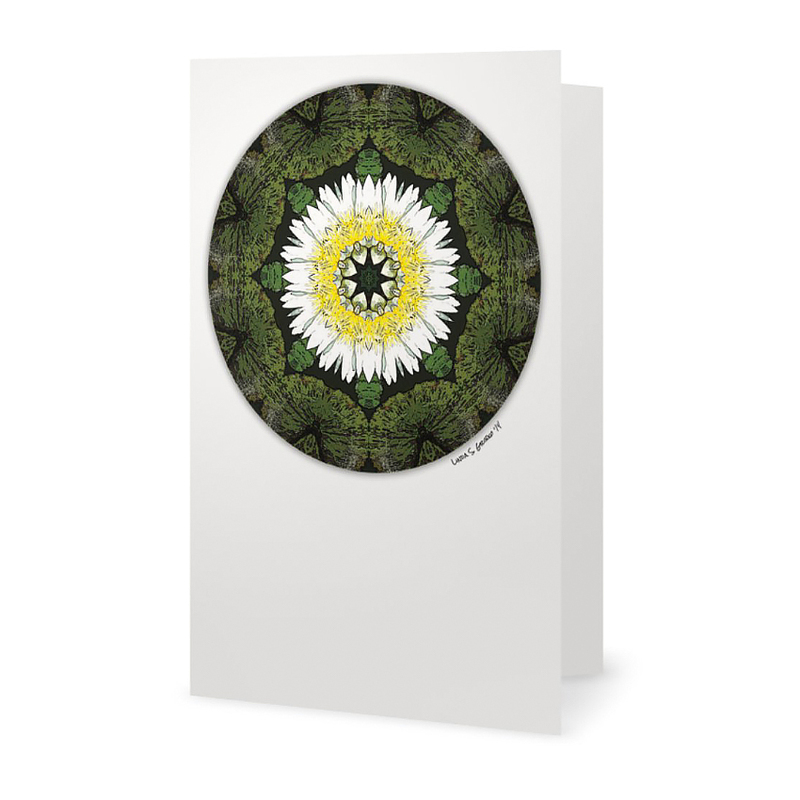 This mandala greeting card is a Milkweed Rising exclusive and is printed from an original work of digital art created by Linda S. Gribko. 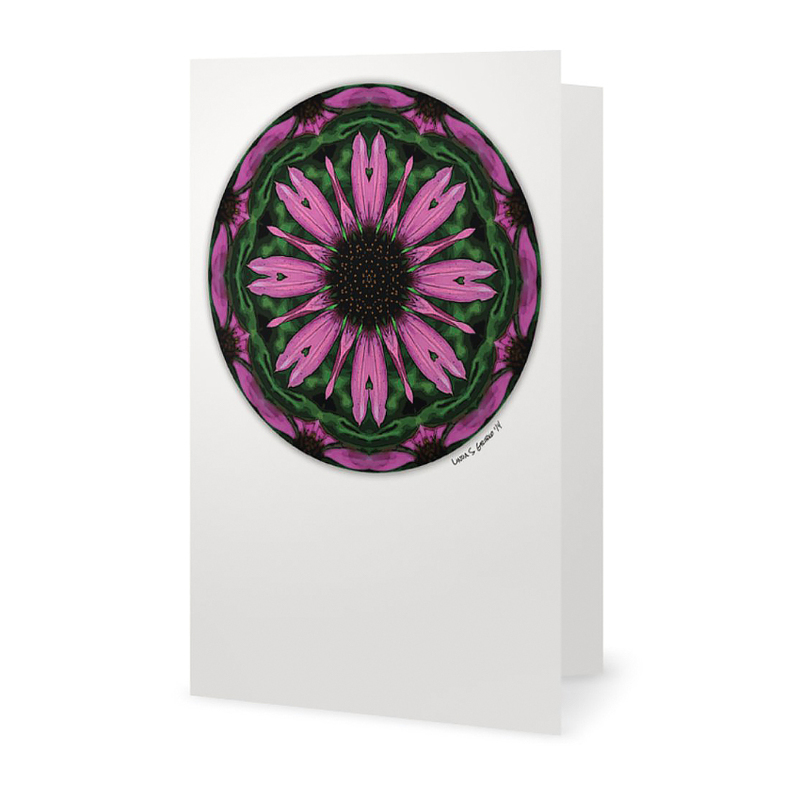 Brown-Eyed Pop is part of my 2016 Pop Series of vibrant reconstructed single blooms. 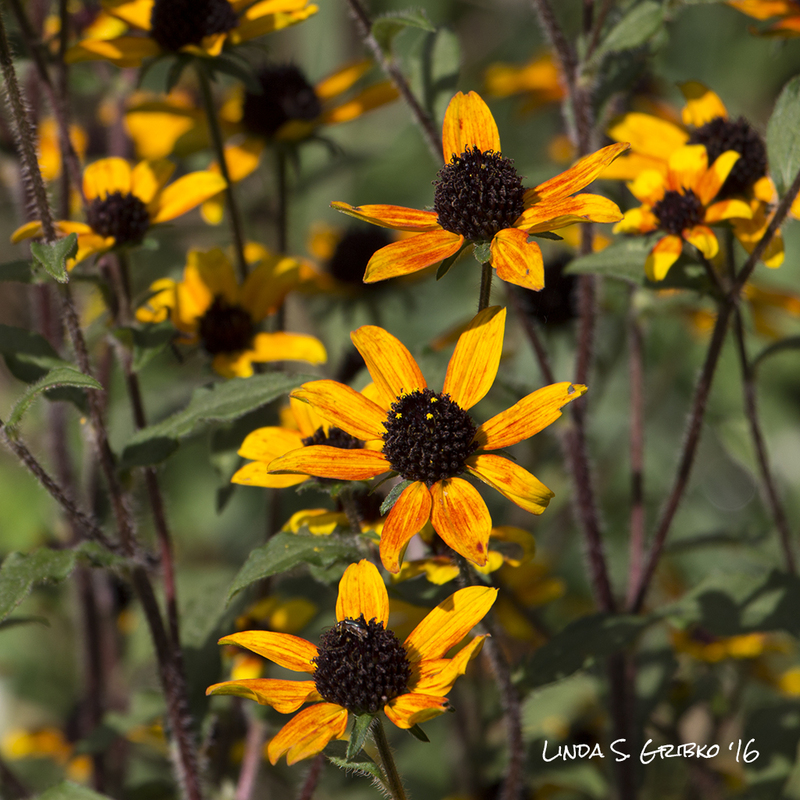 I’m particularly drawn to composite flowers, like this brown-eyed Susan, because of their celebratory ranks of petals spread wide in joy. Those celebratory ranks also make great landing pads for long-legged butterflies, who can enjoy a comfortable perch while partaking of a little nectar. Here the landing pads are bright, bright gold–a color I associate with joy, being alive within yourself, and the sharing of happy energy. 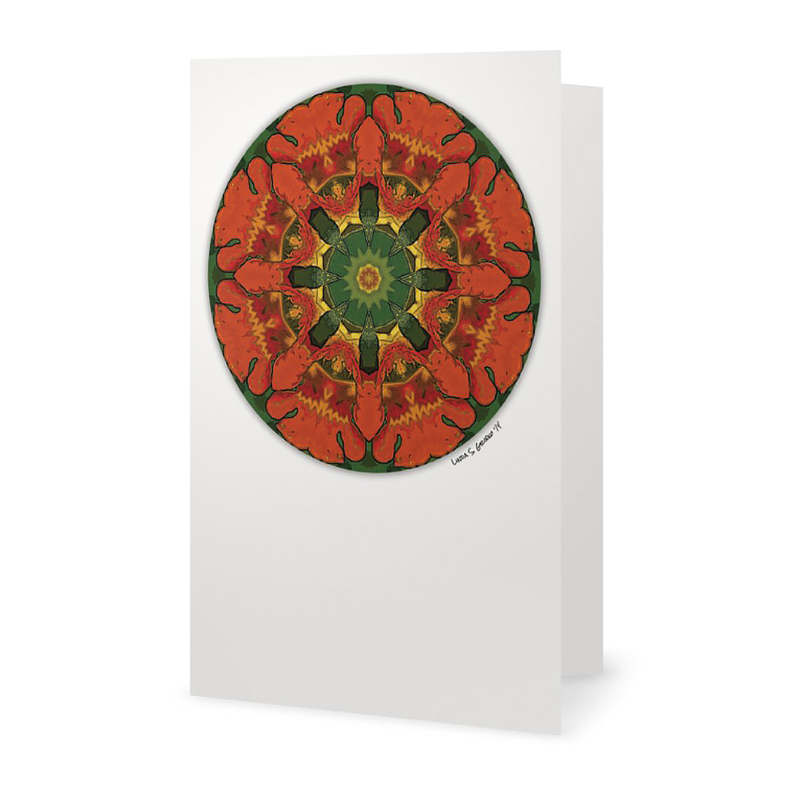 May this mandala bring you joy that spills over to light up the lives of everyone around you. 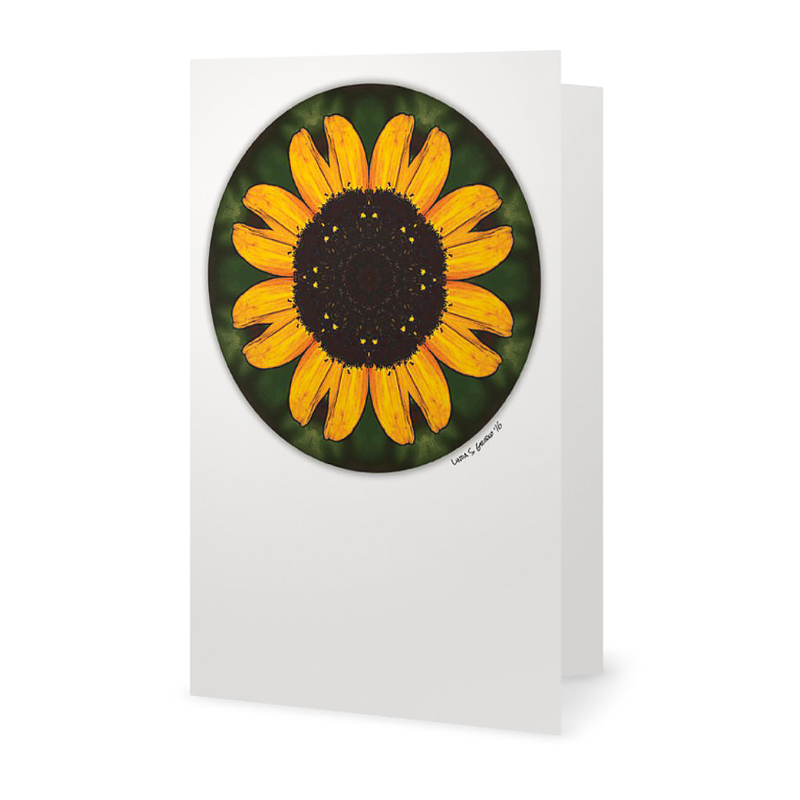 This blank card makes a vibrant and fun Everyday, Birthday, or “Celebrate the Summer” greeting. It’s 5″ wide and 7″ tall and is printed on premium 100 lb. white matte paper, suitable for framing. A white envelope is included. The original color photo and story of the piece are printed on the back of the card.